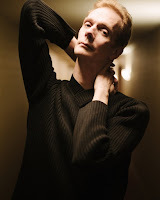 I did this interview with Christopher Dennis last May. It was slated for publication in Geek Monthly this summer, then again most recently for the Digital Subscriber's issue in November. This was, hands down, my favorite interview. Dennis was a genuine joy. Sincerity is a quality sorely lacking in today's world. He and his colleagues have it in spades. Speaking of which, the article will also catch you up on a few of the other superheroes from the documentary. Please enjoy. Heaven knows, the world needs a Superman. 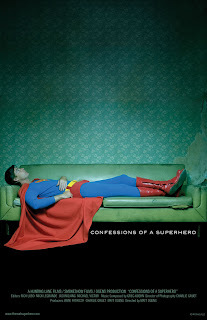 If you’ve seen, Confessions of a Superhero you already know the name, Christopher Dennis. 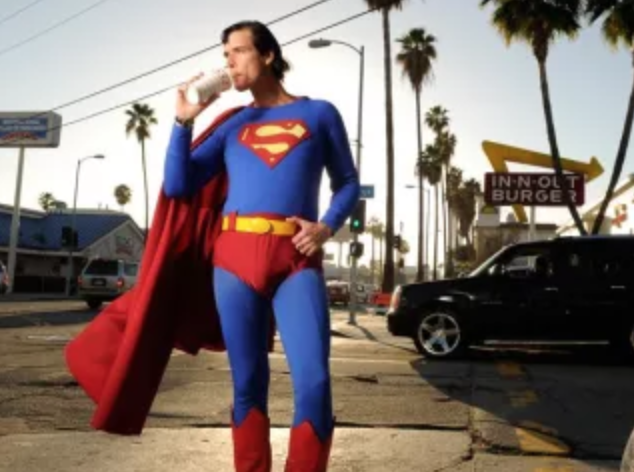 If you haven’t seen the quirky documentary about struggling actors in Los Angeles, perhaps you’ve heard of, “The Hollywood Superman”. 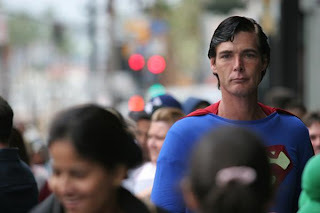 You may have seen him on Jimmy Kimmel Live as part of a troupe of performing superheroes. You may have seen him posing for photographs with tourists in front of the iconic Grauman’s Chinese Theater. Then again, maybe you’ve never heard of him at all. Such is the life of a cult classic figurehead. Dennis is something in the vein of a Clint Howard type. He’s not a reality star. He’s not desperately seeking fame. He just wants to work. At times, Confessions of a Superhero painted him in a less than flattering light, albeit sympathetic one. As documentaries are wont to do. Of course, most people's lives would look forlorn if you played sad music behind footage of them brushing their teeth. The film portrayed him as equal parts wacky Christopher Guest character, eccentric collector of memorabilia, and stable father figure to a handful of Hollywood transplants. What has life been like for Dennis since his appearance in Confessions of a Superhero? Sorry to disappoint, but he’s surprisingly stable and still crusading like his hero, Christopher Reeve. He's also eager to show the industry he’s more than a Superman impersonator. If there’s one thing he wants the world to know, it’s that he’s ready for more work. 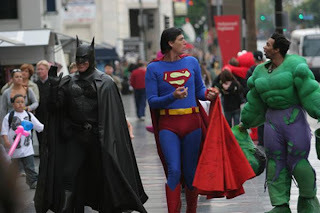 In order to prevent such chaos, Dennis attempted to create something sort of like a real-life Justice League. “We tried to form a union but that didn’t go too well. We tried to take it to the county and we held a meeting with the characters across the street at the Hamburger Hamlet. We had some people show up that were part of the chamber of commerce and they thought it was a great idea. We were going to make badges that would show they were certified and have a number and it would be a union. If we have to get a permit to be out there, then we would be working with the city and the characters are giving back.” But the ill-fated idea never got past the Hamburger Hamlet. Despite the new influx of impersonators, the documentary seems to have done more good for him than anything else. “I get (recognized as) Christopher Dennis more.” Another pleasant surprise for any fans of COAS is that the cast featured in the film are all still friends. Dennis says he regularly talks with Joe McQueen, who appeared as the formerly homeless Incredible Hulk. He even had breakfast with Jennifer Wenger, aka Wonder Woman, on the morning of our interview. As open as Wenger is about life post-doc, Maxwell Allen remains a bit of an enigma. Allen was the George Clooney look-alike and Batman impersonator featured in COAS that seemed to have some legitimate anger problems. He struggled openly with the stressful lifestyle of a freelance superhero. Dennis seemed to change his tone when I asked how Allen was doing. Aside from the rocky friendship with Allen, Dennis has one more complaint. The director of Confessions of a Superhero, Matthew Ogens, allegedly doesn’t have plans to follow up with the gang on film. The problem? In true Hollywood fashion, there are now legal complications with Dennis and the others appearing on film. As themselves. Even with the contract trouble, Dennis remains passionate about his role as the Hollywood Superman. He holds strong to the thought that America still needs superheroes in general, and Superman in specific. “America needed a colorful icon they could look up to. America is always gonna need that. It’s turned into a world-wide thing because Superman has been around since 1938 and he’s still going strong today. I like to say that everyone has a little bit of Superman in them. The thing is, we know what’s right in our hearts and what’s wrong. As long as you live by that…” Dennis trails off here, fully content with his stance on life and his day job.